The Phottix Odin II is the advanced version of the popular Phottix Odin system and offers an even easier handling. When working with Odin II components only, it is possible to trigger up to five separate groups. When components of other systems, like a Phottix Mitros+ are included, three groups are available. Furthermore when working with an all Odin II system, 32 channels are on hand, of which the channels 5-32 can additionally be assigned with an ID number. Like this it should be possible, that different photographers us the same channel in a close distance. The handling became even easier. For each group there is a quick-access button. The settings are made by a centrally positioned control dial. The big LED display offers an overview of all active groups and settings. In TTL mode a correction of +/- 3 EV is possible, in the manual mode settings of 1/1 – 1/128s. Synchronisation on the second curtain and high speed sync up to 1/8.000s is available. The working range of the Odin II is 100m, what allows even more complex set-ups. Please note: this article is the transmitter only! 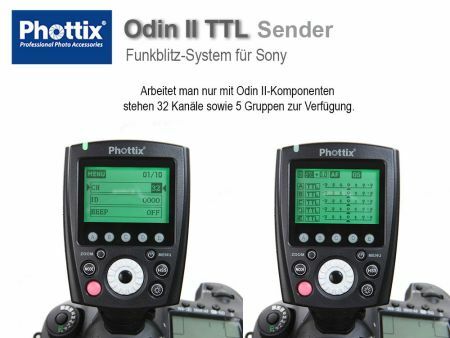 Odin II receivers for Sony are not yet available. 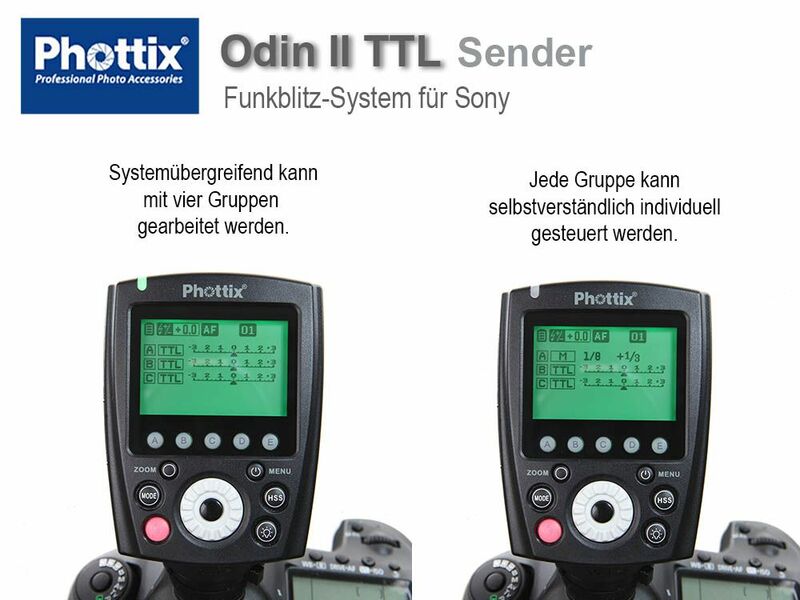 But the Odin II for Sony is compatible with the Mitros+ Transceiver Flash as well as with the Indra-Studio Lights 360TTL and 500TTL. 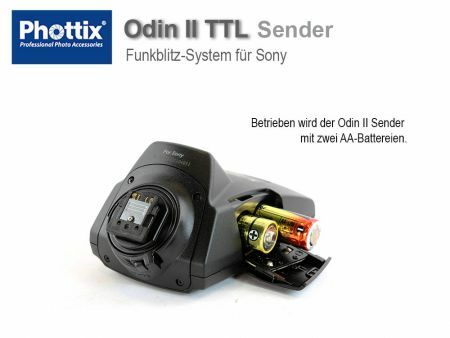 Furthermore the Odin II transmitter can trigger receivers of the former Odin-series and the Strato (II) and Atlas II. 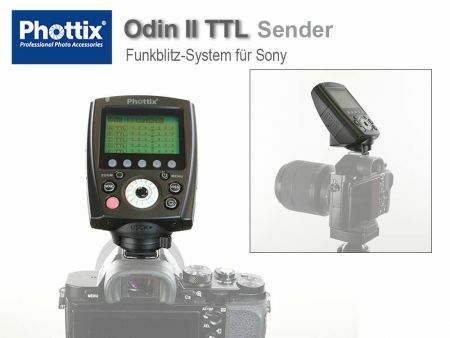 Firmware updates for the Mitros+ and the Indra-system are provided by Phottix here! A compatibility with flash lights of third-party manufacturers is not guaranteed.